Augustine Lighthouse and Museum – Visit the United States’ oldest lighthouse, also known as “the Old Spanish Watchtower,” and take a breathtaking look at St. Augustine from on high (165 feet above sea level, to be exact). At the museum, you’ll even find a collection of WWII artifacts and pictures that were saved from being thrown out. Spanish Military Hospital Museum – Go back in time at this Spanish Military Hospital Museum and witness the reenactment of a surgeon performing surgeries and producing medicines through the discovery of the colonial herbs that have shaped our medicine today. Fountain of Youth – This is the original site of the nation’s oldest city where you’ll also find the Spring House, where the water comprises over 30 minerals. Cathedral Basilica of St. Augustine- This is the first parish in the U.S. and the oldest Catholic Church in the city. It was designed with a Spanish touch. What’s best, entry is free. There are obviously many historical sites in St. Augustine. These are a few other popular ones that you should visit as well: Lightner Museum, Fort Mose, Castillo de San Marcos, Fort Matanzas, Old Jail, Oldest House Museum Complex, and Oldest Wooden Schoolhouse. 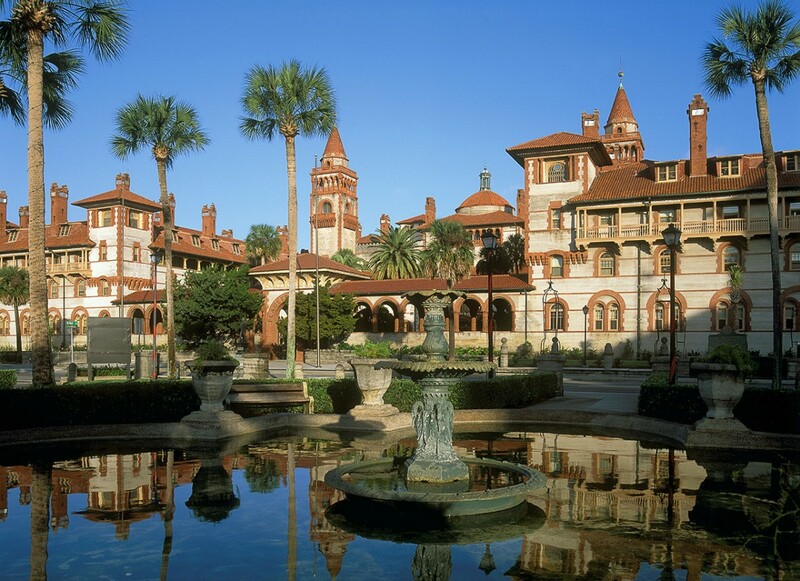 With its rich past, St. Augustine is bound to have unique and exotic nightlife that make it stand out among other cities. This is why, if you visit, you’ll find yourself spending some time taking a ghost tour or two, like the famous Ghost Tours of St. Augustine (as seen on the Travel and Discovery channels) and Ghosts and Gravestones Tour. Though, if you want an entertaining night with live music, plays, comedies, musicals, and traveling performers, then you could always go to Ponte Vedra Concert Hall and Limelight Theatre. There are also plenty of hotels, bed and breakfasts, and resorts. But if you’re looking for timeshares for rent, which resorts are ideal for renting? Although there are a bunch of resorts, three specific ones are the most highly rated: Beach Club at St. Augustine, Bluegreen Resort’s Grande Villas at World Golf Village, and Townhouses at Saint Augustine Beach & Tennis Resort. Each is near many St. Augustine attractions, and they all have amenities that’ll make you comfortable and happy. As you can see, there’s nothing better than timeshares for rent in St. Augustine, where you can spend every second discovering brilliant historic places and having a great time.